The four-day long BEST 2018 is the premier energy conference in the Central & Eastern Europe (CEE) region. More than 300 participants are expected: top energy industry leaders, experts, government officials and policymakers, as well as top executives from the worlds of technology and finance. The BEST 2018 includes the BEST CLEAN Energy Forum will provide a platform to clean energy players, showing the opportunities and challenges of nuclear power developments, renewable energy, the natural gas sector and alternative fuel solutions. The BEST INNOVATION Hub will give the floor to the most promising technological innovation projects, which are deemed to be the key to decarbonizing the global energy supply. Meanwhile, the WOMEN in ENERGY Conference is a high profile event featuring leading women from the global energy sector. THANK YOU TO THESE GREAT COMPANIES AND INSTITUTIONS THEIR KIND SUPPORT! 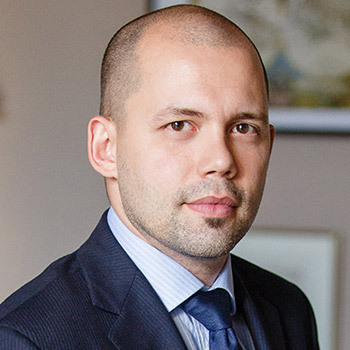 Péter Sztáray was appointed State Secretary for Security Policy in July 2018. Prior to this role, he served as Permanent Representative of Hungary to NATO in Brussels from 2013. He started his career at the Ministry of Foreign Affairs in 1993 as Desk Officer for NATO and WEU. Between 1996-2000 he served as Political Officer at the Permanent Representation of Hungary to NATO. Mr. Sztáray was appointed Deputy Director of the Western Europe Department in 2000. In 2002 he became Director of the Department for the Americas. From 2002 to 2003 Mr. Sztáray was Head of the NATO Section, then he served as Deputy Permanent Representative of Hungary to NATO until 2007. He was appointed Deputy Director for Security Policy and Non-Proliferation Department in 2007 and he became Director of the Department in 2009. Mr. Sztáray served as Political Director, Deputy State Secretary in the Ministry of Foreign Affairs from 2010 to 2013. In 1993 he graduated from the Faculty of Law of Eötvös Loránd University. Between 1993-1994 he studied at the Vienna Diplomatic Academy. Barbara Dorić, PhD is the Managing Director of LNG Croatia, responsible for development of LNG Terminal in the Republic of Croatia. Prior to her appointment as a Managing Director of LNG Croatia two months ago, she was president of the Management Board at Croatian Hydrocarbon Agency, responsible for supervising oil and gas production activities and oil stocks in the Republic of Croatia. 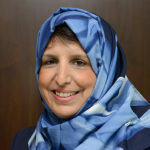 She has a rich experience in development and implementation of energy policies and strategy related to primary energy resources production, gas market, petroleum market and EU third energy package. 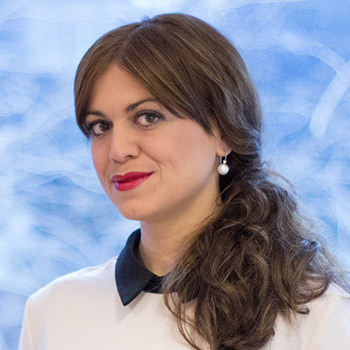 Prior to the Croatian Hydrocarbon Agency, she worked for the Centre for Monitoring Business Activities and Investments in the Energy Sector and A.T. Kearney, management consulting company, where she gained significant experience in energy practice in South East Europe. She gained bachelor’s degree in economics at Webster University in Vienna, Austria in 2004, accomplished executive MBA studies at IEDC-Bled School of Management, Slovenia in 2008 and gained PhD degree at University of Ljubljana, Slovenia in 2017. 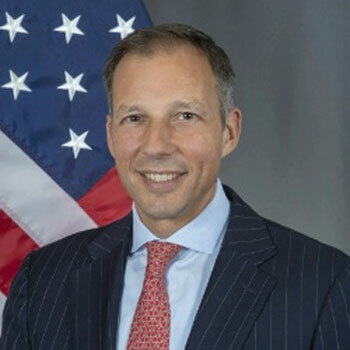 Francis R. Fannon serves as the Assistant Secretary for the Bureau of Energy Resources (ENR) at the U.S Department of State from May, 2018.He oversees U.S. foreign policy in the critical intersection of energy and national security and promotes U.S. interests to ensure energy resources are used to increase economic opportunity, stability, and prosperity around the world. Assistant Secretary Fannon advises the Secretary on strategies to promote universal access to affordable and reliable energy resources and to strengthen energy security through policies that advance diverse, transparent, and secure global markets for all energy types. Prof. Dr. László Palkovics was appointed as Minister of the Hungarian Ministry for Innovation and Technology in May 2018. After serving as Minister of State for Higher Education for two years, Mr. Palkovics held the position of Minister of State for Education and Government Commissioner responsible for research and development of autonomous and electric vehicle systems since 2016. He also held senior research positions at the Technical University of Budapest and the College of Kecskemét. Prior to that, he pursued an international, executive level industrial career with Knorr-Bremse. Mr. Palkovics completed his master’s degree and Ph.D. in engineering, specialized on vehicle mechanical engineering at the Technical University of Budapest. Mr. Palkovics has a title as Doctor and he is Member of the Hungarian Academy of Sciences. Elena Burmistrova was born in Moscow. In 1995 she graduated from Maurice Thorez Moscow State Linguistic University. In 2007 she completed the American Business and Practices program at Boston Northeastern University (USA). In 2009 she received her MBA degree at Lomonosov Moscow State University. Elena Burmistrova started her career at Glencore International (Switzerland) in 1992, then worked for various international companies. 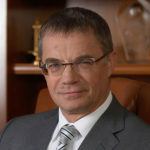 2014 — present: Director General of Gazprom Export. 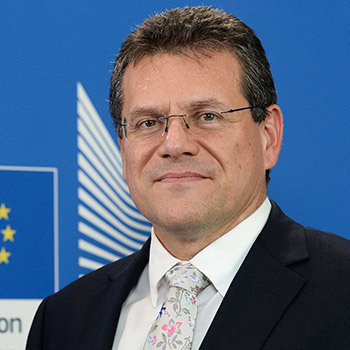 Mr. Sefcovic is the leader of the Project Team “Energy Union” since 2014. From 2010 to 2014 he acted as European Commissioner and Vice-President for Inter-Institutional Relations and Administration, from 2009 to 2010 as European Commissioner for Education, Training, Culture and Youth. From 2004 to 2009 he was appointed as Slovak Permanent Representative to the EU. Mr. Sefcoviv is the author of the book “Driving the EU forward – summary of 5 years’ experience in the position of the Vice-President “. 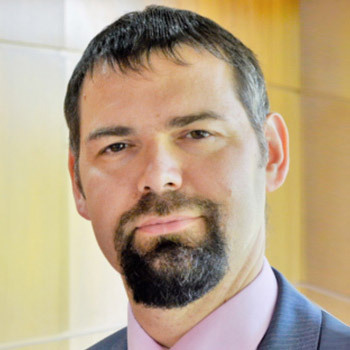 György Kóbor is a senior finance and energy industry professional with significant top management experience. 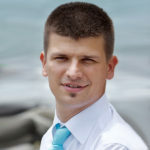 Mr Kóbor worked as Managing Director at E.ON Energy Trade Ltd. between 2002 and 2010. He was appointed Deputy CEO for Procurement and Sales at E.ON Hungary Ltd. in 2009. From 2010 to 2012 and between 2013 and 2016 Mr Kóbor worked as Chief Financial Officer at MVM Group. 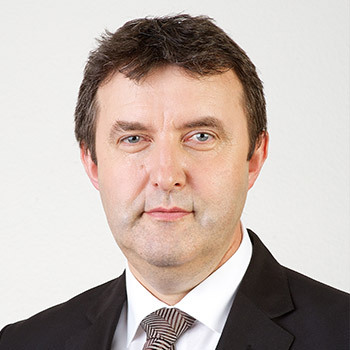 He was the CEO of MET Power Hungary in 2012 and 2013. 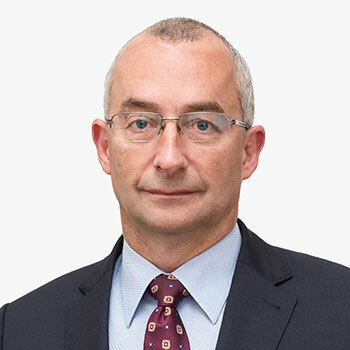 He joined NKM National Utilities Ltd. (NKM) as Chairman and CEO in 2016. 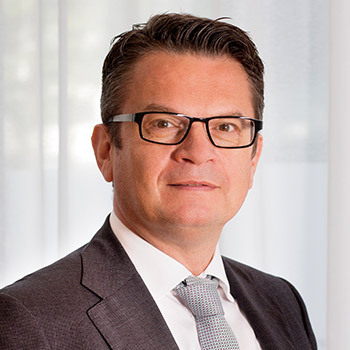 Mr. Kóbor was appointed Chairman and CEO of MVM Group in August 2018. Currently he holds the Chairman position at NKM Group as well. Executive director and Board member of Prvo plinarsko drustvo d.o.o. Ivana Ivancic graduated from Faculty of Mining, Geology and Petroleum Engineering in Zagreb and started her business career in 2004 in INA d.d. She has joined the gas sector in May 2007 and in February 2011 she was appointed to the Director of gas purchase and portfolio management department in INAs subsidiary Natural Gas Ltd. In February 2013, Ivana Ivancic has joined Underground Gas Storage Ltd as the Head of Sales and compliance with the main task of the market opening of natural gas storage services, and ensuring TPA to the storage system. In October 2014, she was appointed to the position of Director of Research and Development Sector responsible for the investments in storage assets. Since 2007, she actively participate in international and national working groups contributing to the process of harmonization of domestic gas regulations with the guidelines and directives of the EU. In the same period, as participant, as well as lecturer she participate in a number of national and international seminars related to the gas business. Gergely Szabó has been managing MET Hungary since December 2014. The company is a leading player in the Hungarian energy market with more than 30% market share on the industrial natural gas segment. Mr. Szabó joined the Gas Division of MOL Group in 2007. 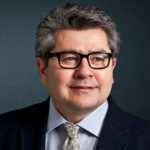 He was the Executive Director of Origination and Structured Trading at MOL Energy Trade Ltd. between 2010 and 2011, then managed the Swiss subsidiary of MET Group as CEO at MET International AG between 2011 and 2014. In addition to his role as Country Chairman Hungary, MET Group, Mr. Szabó is the Chairman of the Board of Directors of E2 Hungary Ltd., the joint venture energy trading company established by Magyar Telekom Plc and MET Holding AG. Mr. Szabó is also responsible for the operation of MET Croatia d.o.o. Global Head of Sustainability - ING. Léon Wijnands is Global Head of Sustainability since November 2013 at ING. Sustainability is a strategic priority for ING and built into the purpose of the company. The department has set the direction 2017 focussing on integrating sustainability more into the core business of ING and accelerating two themes where ING can have an impact on society; financially empowering people and navigating sustainable transitions for businesses. 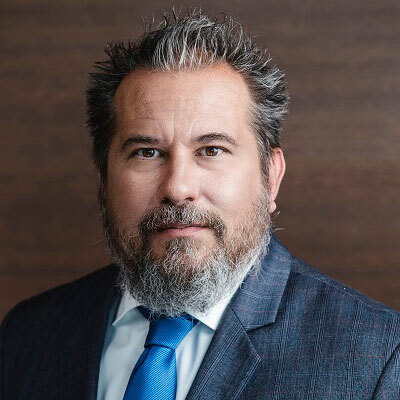 Léon has more than 25 years of experience in banking, particularly in the field of sales and marketing. Prior to his current position, Léon led the ING Bank Customer Contact Centers and the Customer Intelligence team. Over the years he was responsible for the 21 branches in the “District Amsterdam” and has led many marketing initiatives as well as change programmes. 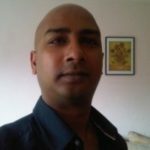 Léon holds a master degree in business economics, business administration and in financial economics. He joined ING in 1990. We all have a vision about a world we would like to live in and about a world that we would like to leave behind for our children, grandchildren and future generations. We visionize it, we talk about it, we expect political decision makers to take responsibilty for it, but at the end of the day who will finally shape this world we live in? There is no doubt that the energy sector has a huge role to play in this. This is why I find it so important that Budapest Energy Summit can provide a platform where the most influential players of this field can meet,brainstorm andshare ideas and insights about imporant issues like energy efficiency and renewalble energy. It is my great pleasure to be the host of the event. Budapest, a beautiful city that bridges the east with the west. Where better to learn about the rapidly changing world of Energy and the impact on traded markets. Come and hear from the experts and challenge conventional wisdom by being first to hear new ideas and strategies that will secure our energy future. I’m happy to be one of the panel moderators. I’m very impressed by the level of the participations, the intensity of the discussions, and also the very good organisation of the summit as well. I found it as a very, very good initiative, I didn’t know, that this was the first one. The selection of the speakers and the audiance was very well done. Budapest Energy Summit is happening once in every two years, is a flagship event now. It is a fresh initiative with the clear goal to put Budapest on to the international energy map. Hotel Marriott Budapest is the venue of the Budapest Energy Summit 2018. The luxury hotel on the banks of the Danube River with the most beautiful view to the city. Book your special rate for Budapest Energy Summit 2018. © 2018 BEST - Budapest Energy Summit. ALL RIGHTS RESERVED.